See an overview of the Aptitude Lease Accounting Engine software in action via video or, read the transcript below. New accounting standards that govern how businesses report their leasing positions are due to come into effect from the end of 2019. 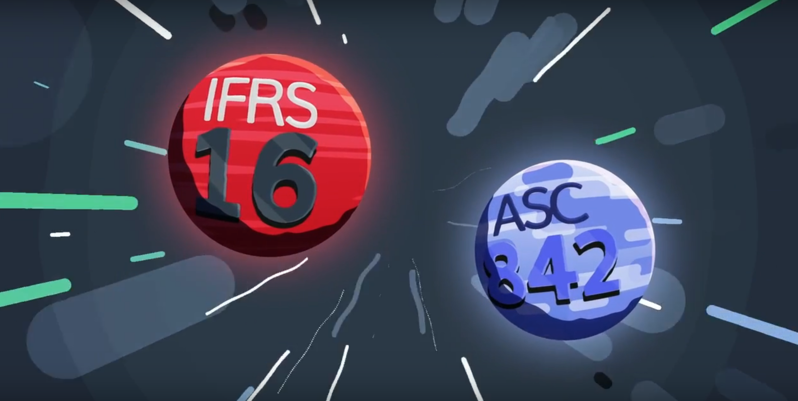 The lease accounting standards IFRS 16 and A.S.C. 842 are intended to provide greater financial transparency. However, the new standards could result in up to 60 times more journal entries and potentially billions of dollars to a balance sheet. For some organizations, complying with the standard is proving harder than originally expected due to leases being scattered across siloed departments, holding varying formats, and at differing levels of granularity. The Aptitude Lease Accounting Engine (ALAE) is a product designed to enable your enterprise to calculate the impact of the new leasing standards. It covers the most complex leasing requirements such as embedded leases, inter-company leases and subleases. The leasing engine is a highly configurable, flexible, and intuitive solution. It supports all transition options as well as multi-GAAP and multi-currency reporting. ALAE integrates seamlessly with existing finance architectures, accommodating any single sign-on solutions you have, to make log in easy. Inside the program you can set up user roles with different levels of permissions. You can control visibility at every level, from group CFO to financial controllers, through to a single user. The lease determination questionnaire walks you through the steps required to assess whether a contract is, or contains, a lease before it is entered into the system. Adding leases is simple. You can bulk upload contracts using an excel template, or ETL tools to automatically integrate with external lease administration systems. You can also enter leases directly into the engine through a web browser. Manually updating contracts is as easy as clicking into a lease and updating the information as required. Any updates will then remain open until the second user with the correct permissions, approves it. The engine models your entity structure, enabling you to see, manage, and have full control over the accounting policy across your entire business. For flexibility, your entities and regions can set transition approach, GAAPs, and fiscal calendars. If you are a global company operating in multiple countries you almost certainly have local multi GAAP and current reporting standards that you will need to adhere to, as well as implementing the new standards. The ALAE produces multi GAAP accounting from a single contract. You can produce IFRS 16/ASC 842 accounting which can in turn be used as the basis for local GAAP reporting. Importantly you can also consolidate results into your group entity while managing sub entity and impaired reporting all from one platform, giving finance departments complete control and visibility. For some entities, locations or departments may operate their own profit and loss centers and you may need to provide information to the wider business on the financial impacts of leases. Our solution is unique in providing this flexibility with a set of extended attributes to enable you to report this along any dimension, such as entity, cost center, or a particular lease contract. You can capture for example, the date you bought an asset - which isn't necessary for ASC 842, but actually provides another information point to feedback to the business for valuable insights. Thus, providing the granularity of data required for daily and highly detailed accounting, down to events across the entire lifecycle of your leases. Some businesses who have already started reporting under the new standards, are already seeing profound effects on their balance sheets. Understanding what to expect in terms of payments in cash flow and how you can reconcile your lease payments is vital for your leasing strategy going forward. The Aptitude Lease Accounting Engine is purpose built to help you deal with this complex regulation. The Aptitude Lease Accounting Engine is created by finance experts and is finance user-centric, taking you to business benefit with minimal disruption. Find out more about how Aptitude Software enables finance teams to gain financial control, agility and exploit financial data for business decision making.